Is a former professional boxer from Sacramento, California. He is a 3-Time World Boxing Champion. He is remembered for his victory in the 1988 The Ring Fight of the year by decision over Rocky Lockridge. 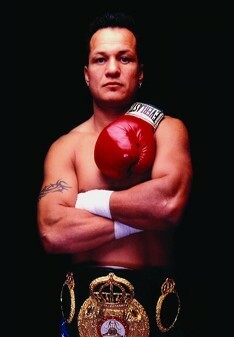 He fought against Julio César Chávez in 1994 in Monterrey. He lost by TKO. Tony Lopez is now retired from boxing and runs a bail bond agency in Sacramento.